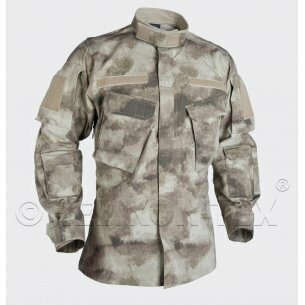 As a reputable military clothing store, we offer a very wide range of products that have been designed to meet the needs of those employed in the police or other law enforcement services. An example is the Helikon Defender collection, where you can find a durable polar fleece for special tasks. Its classic cut, functional accessories and universal character will surely satisfy not only customers interested in military clothing. Helikon Defender men's fleece - what weather? The men's polar sweatshirt is a great idea for men who care about clothing that works well in different weather conditions. Because it has a zip fastener, it can be unfastened immediately to ensure thermal comfort on warmer days. 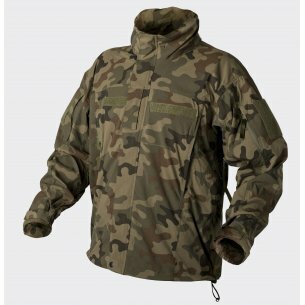 At the same time as other high quality military clothing, this military fleece guarantees windproofing at a satisfactory level. The classic cut looks very good on the figure and leaves enough slack to be able to put under the warmer clothing. 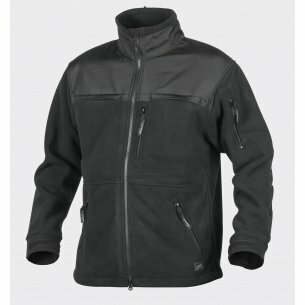 In the summer, in spring and autumn, the Helikon Defender fleece works great as a zipped jacket, while in the winter it can be worn under thicker outer clothing. In addition, in terms of thermal comfort, it is worth paying attention to the thermal strip in the castle. The product provides a high level of insulation, which is influenced by satisfactory quality of the material (fleece 330 basis weight). A simple, standard cut is one of the main advantages of clothing from the Helikon Defender collection. We offer a fleece jacket that looks great on every figure. We offer our clients a wide range of sizes, thanks to which you can easily match a particular variant in terms of chest circumference, overall length and sleeve length. We provide a detailed table with sizes, which also includes XXL and 3XL models. At the same time, it is worth noting that regardless of size, each Helikon Defender male fleece can be additionally adjusted. 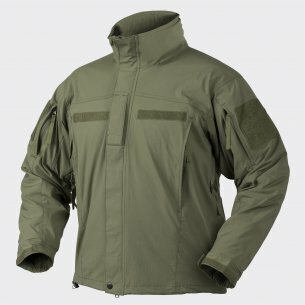 In this task, the sleeves fastened with a functional Velcro and a puller with a stopper located at the bottom of the jacket will be helpful. Helikon Tex fleece is distinguished by many additional advantages, among which it is worth paying attention to solutions dedicated to people wearing professional repairs. Certainly, many law enforcement personnel will appreciate the presence of side spans that guarantee easy access to equipment carried on the belt. The men's fleece is equipped with three pockets with a high degree of functionality. Two of them are located at the bottom and have a zipper, so you can successfully transfer valuable items, documents or a mobile phone. The third pocket is a Napoleonic version - it provides an output for headphones and a pocket for the device. Practical solutions should also include the chin guard on the main fastener. The manufacturer has not forgotten about additional reinforcements to provide the clothing with the best durability. They are located on the shoulders and elbows, which is why they are great in the role of protectors. Designers cooperating with the Helikon Tex brand have for many years made sure that the offered clothing was not only functional, but also attractive. Polar military Helikon Defender fits in perfectly with this principle, but it is impossible to deny its universality. The model maintained in classic black will work perfectly in almost every stylization, which allows you to wear it every day. Thinking about training outdoors, it can be combined with comfortable sweatpants. Polar military also suits ordinary jeans, and thanks to the universal colors you can easily choose any t-shirt. At the same time, the clothes kept in classic black work very well in the field, when we want to mask quickly. 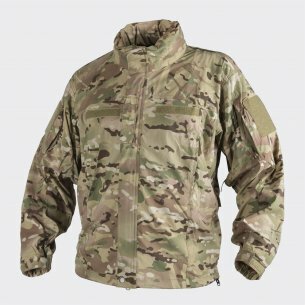 Our military store specializes in professional military clothing that meets the expectations of professionals. Many of the models offered are effective in everyday use - especially in terms of intense physical activity. In both cases, the Helikon Defender fleece proves to be the right choice and will help to maintain the optimal body temperature regardless of the weather conditions. It should be emphasized that this sweatshirt is a purchase for many years, because it was made of thicker, very durable material.